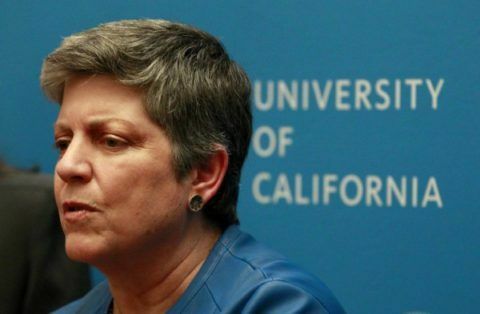 Is University of California President Janet Napolitano attempting to scapegoat two of her top aides for a scandal that enraged the California Legislature? Or were the aides’ abrupt resignations last week a Napolitano message to regents and lawmakers that she realizes the gravity of the mistakes made by the UC Office of the President in interfering with an audit ordered by the Legislature? This was the speculation touched off by Wednesday’s UC announcement that Seth Grossman, Napolitano’s chief of staff, and Bernie Jones, his deputy, had “resigned to pursue other opportunities.” Neither offered substantive comments to the media on their decisions. Jones played a central role last year in getting three UC campuses to change their responses to state Auditor Elaine Howle, who had been asked by the Legislature to examine campuses’ relationships with Napolitano’s office – the latest of several attempts in recent years by the Legislature to get a better understanding of UC’s murky finances. The responses were supposed to be confidential so Howle could get an unfiltered assessment of UC’s Office of the President. But at Jones’ direction, officials at UC Santa Cruz, UC San Diego and UC Irvine either dropped criticism or offered more positive descriptions. The San Francisco Chronicle, which in May broke the story that emails confirmed interference with the audit, reported that Jones’ boss – Grossman – was CC’d on emails about responses to the audit and that Napolitano’s involvement in the attempt to protect her office’s reputation was direct and indisputable. The changes were undertaken in November 2016 – after Napolitano spoke with UC Santa Cruz Chancellor George Blumenthal. “Per your conversation with Chancellor earlier today, we have already started the recall process of the State Audit Survey,” Ashish Sahni, Blumenthal’s top aide, told Napolitano in an email obtained by the Chronicle. The resignations of Grossman and Jones were only the latest fallout from the spring scandal. After Howle told legislators she’d never seen such improper behavior from a state agency in her 17 years as auditor, they passed a bill making it a crime subject to a $5,000 fine to interfere with a formally requested state audit. Gov. Jerry Brown signed it into law last month. Meanwhile, at the behest of UC regents, former California Supreme Court Justice Carlos Moreno continues to conduct an independent investigation into the scandal. There is no indication when he will submit his report; it is not on the agenda for the regents’ meeting in San Francisco on Wednesday and Thursday. Moreno’s inquiry has so far seemed a low-profile, leak-free effort. But at the very least, it has the potential to embarrass Napolitano again over her handling of the scandal. Howle – who discarded the campuses’ responses as worthless because of the interference – released the audit on April 25. 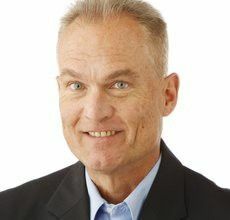 The finding that initially spurred the most headlines was Howle’s assertion that the UC Office of the President hid $175 million in funds from regents and the public. Napolitano was able to lessen the fallout from that finding by arguing that far from being hidden, the funds were dedicated to important programs. But her assertion that audit responses were changed after individual campuses’ asked for help from her office were immediately challenged by state lawmakers at a contentious May 2 hearing. Less than 30 hours later, the Chronicle posted its story showing the changes had been orchestrated by Napolitano’s office – not initiated by the campuses. I don’t buy anything Napolitano does or says. She is out for herself and has shown herself to be an incompetent administrator!. She is a politial hack and always will be. She has no business holding this job & fools hired her for it. John Seiler: It’s bad enough that Republicans, during the eight tyrannical years under Bush, imposed a police state on America.